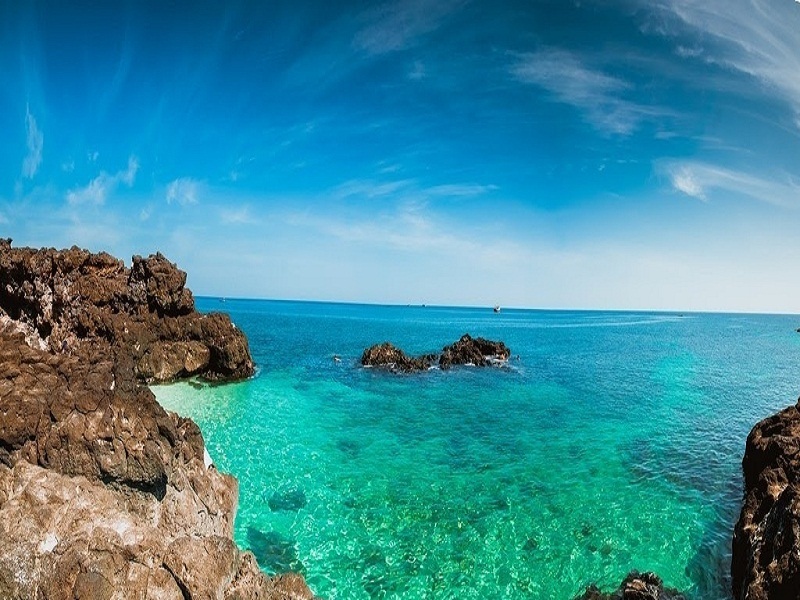 The easternmost country located on the Indochina Peninsula, Vietnam is an amazing Southeast Asian country. Boasting a number of sightseeing destinations, nightlife, things to do, and other travel highlights, the country attracts tourists from far and wide. So, check out our Vietnam travel guide and get facilitated with value for money by vacationing this gorgeous land. 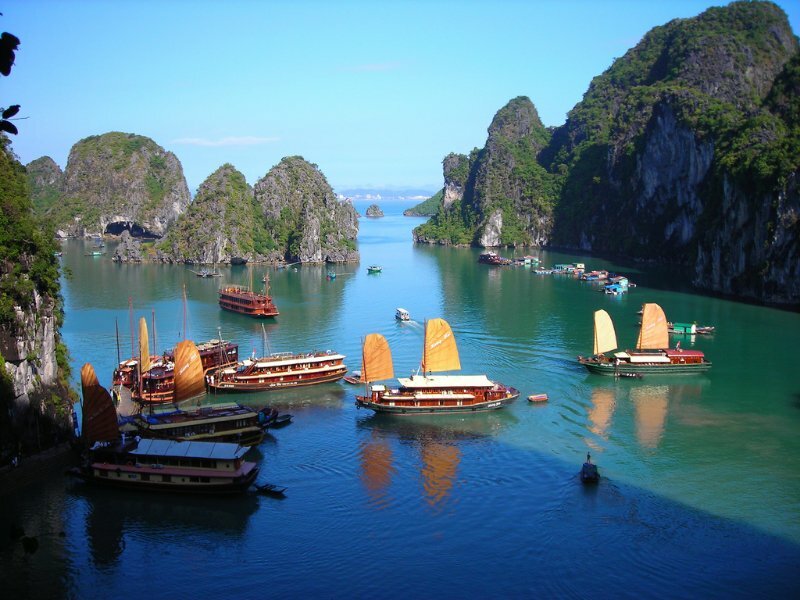 Today you begin your Vietnam journey by boarding your international outbound flight to Hanoi. Upon arrival, you will be greeted by your private guide at the airport and transferred to your hotel. You will have some free time to rest and relax after your long flight. Situated on the banks of the Red River, Hanoi is one of the world’s most ancient capitals, where tourists can find ancient pagodas, well-preserved colonial buildings, and unique museums within the city center. 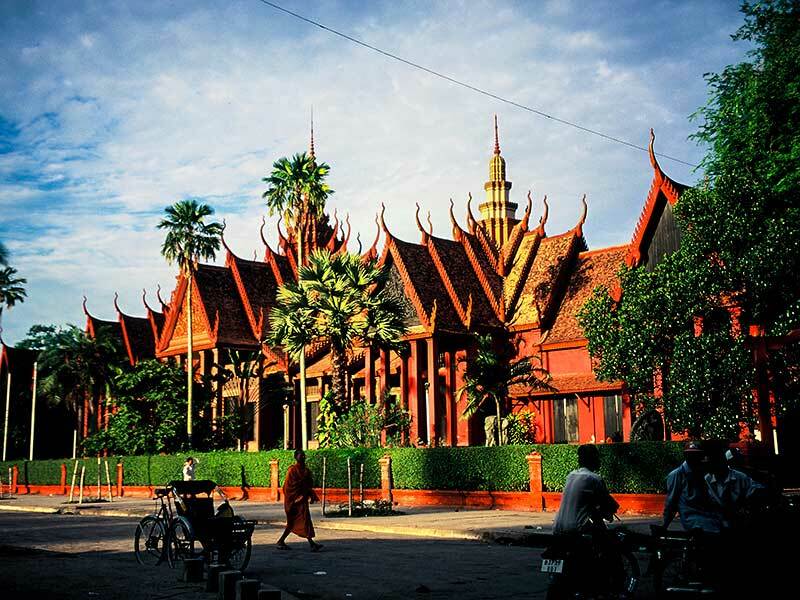 An amazing place to explore on foot, this French-colonial city is also famous for its vibrant nightlife, delectable cuisine, silks and handicrafts, and also as a multicultural community that’s made up of French, Russian and Chinese influences. Today morning, you will connect with a local blogger for an interesting street food tour of the city's eateries. After enjoying a delicious brunch, you’ll continue your journey by taking in some of Hanoi's major sites including the Temple of Literature which is the first university in Hanoi, Ho Chi Minh's former home, and perhaps the Fine Arts Museum which has an amazing collection of art and sculpture. 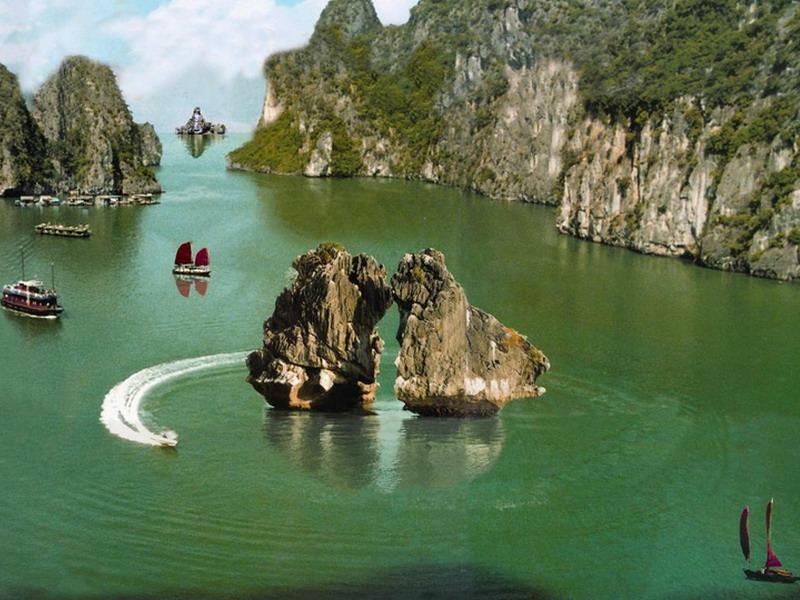 No trip to northern Vietnam is ever complete without a visit to Halong Bay. It’s a beautiful natural wonder located in northern Vietnam near the Chinese border. The Bay is lined with 1,600 limestone islands and islets and enclose an area of over 1,500 sqkm. 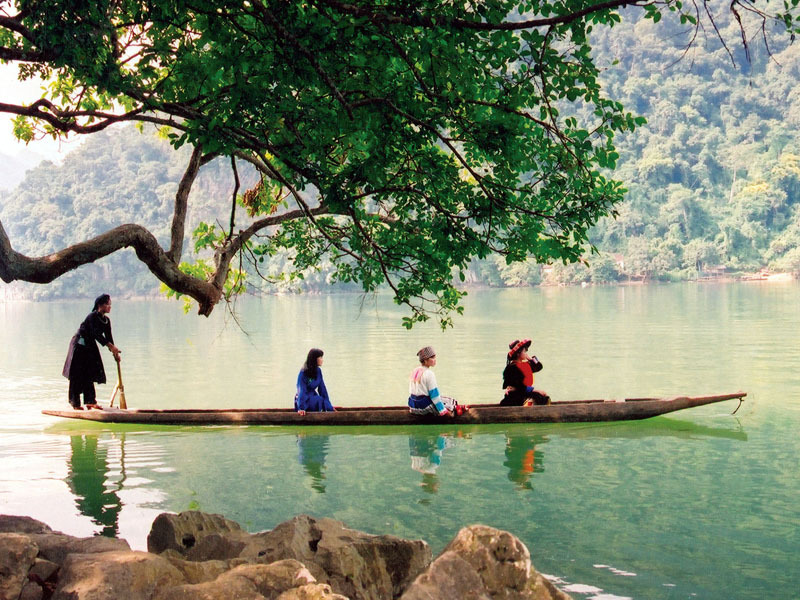 This remarkable area has been declared a UNESCO World Heritage Site. This place, for many travelers, is like something right out of a movie. The fact is that Halong Bay displays a wide range of biodiversity, while the phenomenal scenery has indeed featured in a number of movies. Today your guide will collect you from your hotel and transfer you to the airport for your scenic journey to Halong Bay. Your seaplane flight will take about 40 minutes and is a splendid way to see the UNESCO site. On reaching in Halong, you can relax by the marina enjoying a Vietnamese coffee before you board your junk. Spend the afternoon cruising through the bay, praising the limestone Karst scenery and enjoying the lavish hospitality on-board. This morning is going to be on board. Cruise back to port mid-morning to disembark. You will be collected by your private guide then and transferred overland to Hanoi for your afternoon flight onward to Danang. 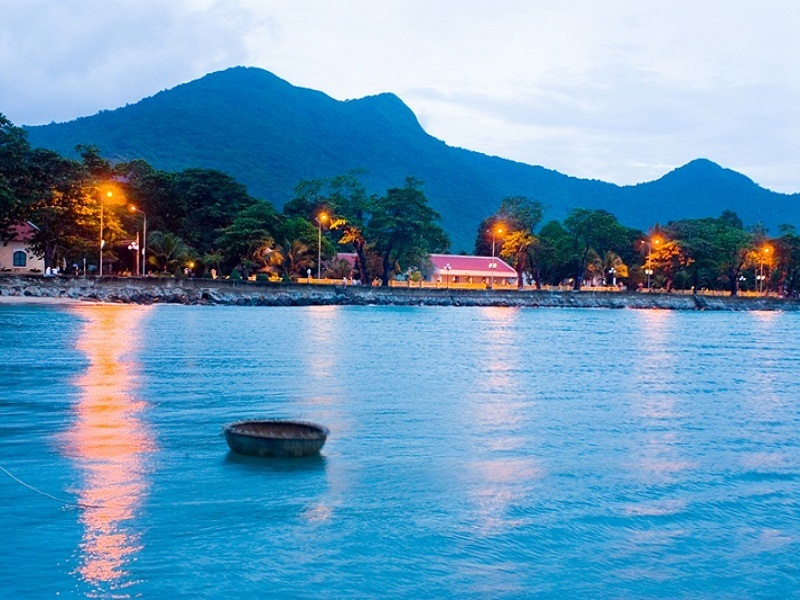 Upon arrival, you will be greeted by a private guide and taken to the prestigious Nam Hai Hotel. 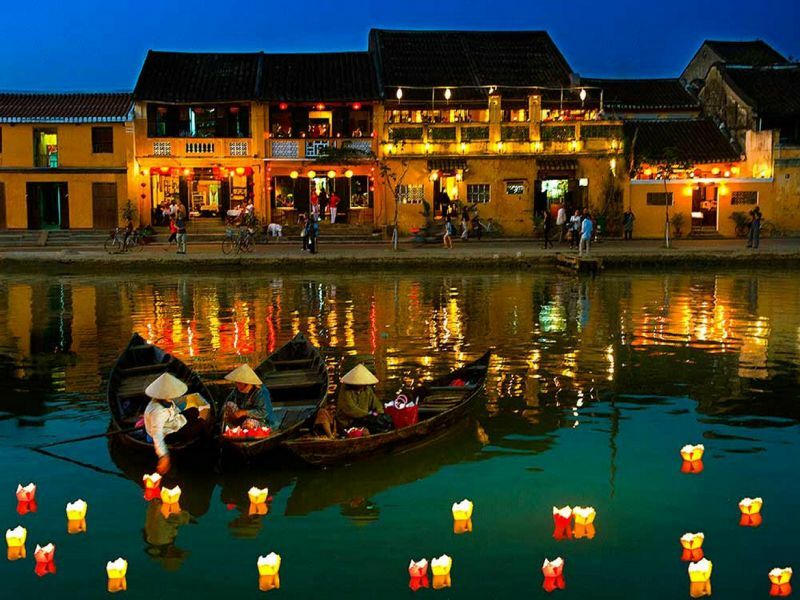 Hoi An Town is a remarkably well-preserved example of a Southeast Asian trading port that dates from the 15th to the 19th century. Its buildings, as well as street plan, reflect the influences, both indigenous as well as foreign, that have combined so as to produce this distinctive heritage site. 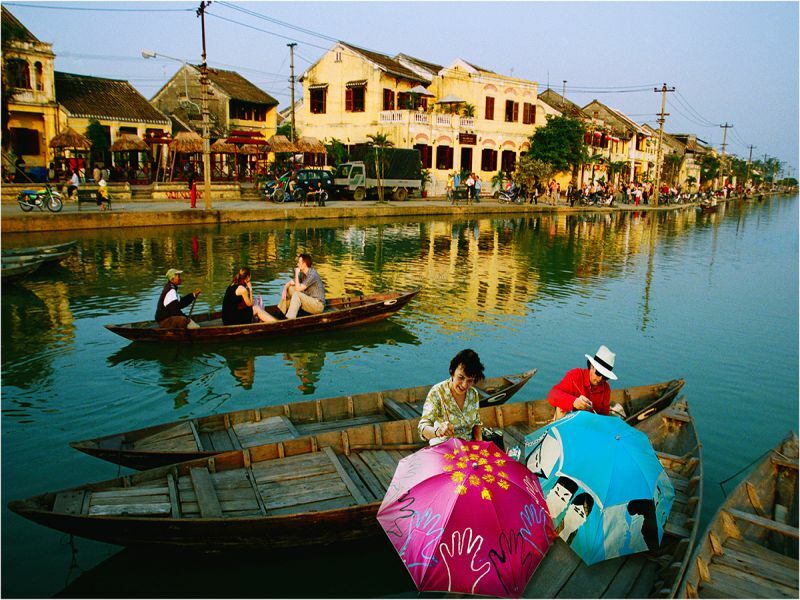 After enjoying a leisurely breakfast, you will meet your private guide for an insightful tour around Hoi An's old town. Here you get to explore the temples, shop-houses, and beautiful Japanese covered bridge. You can either explore the town further on your own or return back to your beachside hotel for some relaxation. Today, you will begin with a trip to Hoi An's buzzing morning market where a local chef will introduce you to some of the main ingredients required in order to prepare many of Vietnam's most loved dishes. After sourcing these ingredients, you will accompany the chef back to the valued Red Bridge Cookery School. Spend the afternoon cooking and sampling many Vietnamese favorites before you return back to your hotel. Today, you’ll be driven to Danang Airport for the brief flight to Saigon situated in southern Vietnam. Upon arrival, you’ll get transferred to Ben Tre located in the Mekong where you will embark on your private sampan and enjoy a cruise through the quaint Mekong Delta. This morning, you’ll continue cruising through the Delta. Visit one of the gorgeous floating markets, before you disembark and get transferred to the airport for your onward flight to the Con Dao Archipelago. On reaching Con Dao, you will be greeted by your private guide and taken to your hotel. The next few days will be spent enjoying the spectacular location and the abundant facilities of the resort. Perhaps today you may wish to participate in some of the hotel's activities or alternatively, you may just simply wish to relax on the beach or by the pool. This morning you will be transferred back to the airport for your flight to Saigon. On reaching, you will be greeted by a private guide and transferred to your hotel via the Cu Chi tunnels. Here, you will get to learn more about the Vietnam war as well as the guerrilla tactics of the Viet Cong. The evening will be free for you to enjoy at your own pace. Today get ready to enjoy a full day city tour of Saigon accompanied by your guide so as to offer their own insight into the daily life of Vietnam. In the evening, you will embark on an interesting discovery through the streets of Saigon on the Vespa back. Enjoy delicious street food, local music, and a vibrant atmosphere. This is going to be a memorable evening as well as a real highlight before you travel back home. After breakfast, your guide will collect you from your hotel and transfer to the airport for your onward flight back home. If you have any queries regarding traveling in Vietnam or planning a visit to the country, you can fill out the inquiry form or contact us at Priyanka.sharma@Leisure.com and we’ll try to answer them for you as soon as possible. For more travel inspiration, read all our articles for some amazing trips around the world.